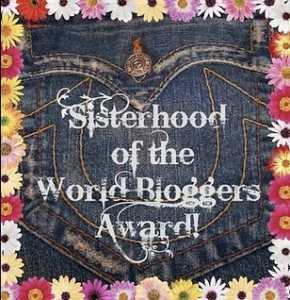 Sisterhood of the World Bloggers Award, thank you Horty and Barbara! Horty of the blog It Is What It Is has been so generous to nominate this blog for the Sisterhood of the World Bloggers Award. Practically at the same time, Barbara of idealisticrebel blog was so kind to nominate this blog for the same award. Thank you so much, you both, for passing on this honour, which you both deserve so much! Your favourite colour …. Red. Your favourite animal … Sanderling. Your favourite non-alcoholic drink …. Pineapple juice. Facebook or Twitter ….. Twitter. Your favourite pattern ….. Chessboard. Do you prefer getting or giving presents? Usually, giving. Your favourite number … 41. Your favourite day of the week … Saturday. Your favourite flower …. Orchids. What is your passion? ….. Seeing birds. Thanks so much for the nomination! All the best for you and your blog!